What Is the Easiest Way to Restring a Hooded Sweatshirt? If not Velcro, then what? 1 What Is the Easiest Way to Restring a Hooded Sweatshirt? 3 What Is the Difference Between Lycra and Spandex? Attach articles using alternative fasteners to Velcro. Many other fasteners exist and may provide a better method than Velcro, since there may be circumstances that dictate certain conditions. Explore these alternatives at a good hobby or craft store. Discover the purpose of how the components need to be connected to come up with an effective alternative. Explore the purpose for the connection to determine what alternative can be used instead of Velcro in your project--for example, if it needs to be quiet. The U.S. Army requested a silent version of Velcro because it makes a distinctive ripping sound when pulled apart. Many other fasteners can be silent, like magnetic contacts, which are completely silent. However, a magnetic connection may not be appropriate for an electronic device. 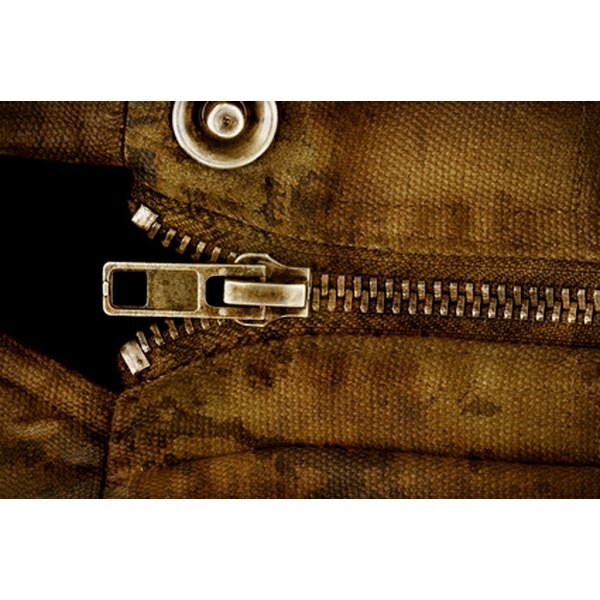 Zippers, buttons, snaps, laces, hook-and-eye, and buckles make alternatives to Velcro which can be used for clothing. Electronic components can be gathered together using rubber bands and twist-ties. A closure for a pouch or a bag made of any material may be just as well-served with a magnetic closure. Certainly a small circular cobalt magnet could be hidden inside the fabric to produce an efficient and quiet closure. One area where Velcro is used almost exclusively is with cable management. In a busy server room, cables are held together with Velcro to gather strands inside of cable management trunking. But there are cheaper and better alternatives. Certainly the aim of doing this is to prevent outages from heavy and sagging cable bunches, and Velcro does a great job of keeping cables together which can be taken apart at a moment's notice in case of maintenance requirements. However, rubber cable management closures also do a great job and are possibly even easier to separate than Velcro. Sometimes, tucking rubber closures in a loom does a better job than Velcro. Considering the purpose of Velcro, there are really many alternatives, depending on which industry is chosen. Certainly the footwear industry has benefited from Velcro closure fittings, particularly when the main purpose is convenience. However, another frequent form of closure is quieter and more convenient, such as the plastic snap buckle, which is used on shoes, purses, bags, luggage and in many other industries. Finally, in the maritime services industries, the use of plastic and metal bolt snaps leave the uncertainty of a connection during a period of weather-related emergency, something that could never be achieved with the same success by Velcro.